Across the country, motorcycle riders are tempting fate by driving without valid licenses. 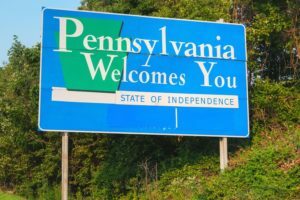 In Pennsylvania, this risk could cost you hundreds of dollars in fines and hurt your chances of recovering fair compensation following an accident. If you’re wondering, “Do you need a motorcycle license in PA?” the answer is yes. In this blog, we’ll explain what happens if you’re caught riding without one. Attorney Brad S. Tabakin is a rider himself and has spent his career representing motorcyclists in negotiations with insurance companies. If you have been involved in an accident, we can evaluate your case for free and determine whether you have grounds for a claim. Call 877-333-0300 to find out more about Pennsylvania’s motorcycle laws, and to keep up with the Bikers Have Rights community, join our Facebook group. If you are caught riding a motorcycle without the appropriate license, you could be fined up to $200 and have your license suspended. But a fine and suspension could actually be the least of your worries. Research has shown that unlicensed riders are far more likely to die in accidents than legal drivers. Why? The licensing process, which includes testing, not only will arm you with the knowledge to use the road safely but also will equip you with the skills to navigate around common road hazards and dangerous situations. The consequences of riding a motorcycle without a license are especially severe if you are involved in a crash. Even if the collision was not your fault, the insurer or the other parties involved could argue that if you were licensed, you would have possessed the skills needed to avoid the crash entirely. This could ultimately lead to you footing the bill for the property damage and injuries sustained by the other parties involved in the accident. Brad Tabakin is a personal injury lawyer and long-time rider who is passionate about protecting the rights of bikers across the state. He has won substantial settlements and verdicts in complex, high-stakes cases. To schedule a free initial consultation, call us today at 877-333-0300.